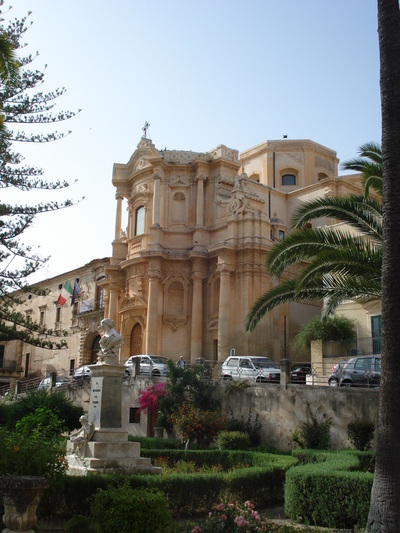 Noto is, quite simply, the apothesis of Baroque town planning and architecture. 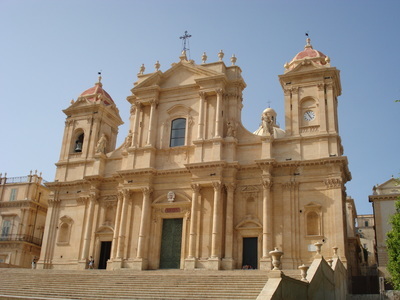 Completely destroyed by the terrible 1693 earthquake, it was rebuilt from scratch on a new site, about 10km from the old centre. The main building material used was local compacted limestone, a substance that seemingly absorbs the sun's aureate rays and transforms them into a soft golden-honeyed glow. The effect at sunset is quite something. A UNESCO Heritage site, Noto is not to be missed, even if Baroque architecture is not your cup of tea. 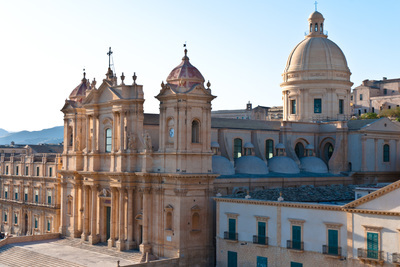 More than just a "Baroque" town, it is a subliminal expression of originality, fantasy, obsession and man's resilience in the face of the overwhelming force of nature. Caffe' Sicilia in Corso Vittorio Emanuele 125, was voted best bar in Italy a few years ago. Its cakes and granitas (flavoured crushed ice drinks) are divine! Try the peach and basil version in the summer. 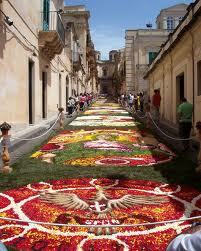 Annually the 3rd Sunday in May is dedicated to the Infiorata in Noto. 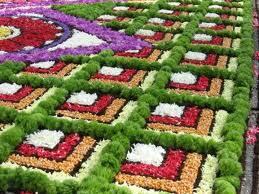 The event started over 30 years ago with the flower artists developing the technique of arranging the flowers to appear like paintings, and these cover the streets.